Deepen your knowledge of yoga and enhance your personal development with Integral Yoga Teacher Training in Madeira, the world’s leading Island destination! 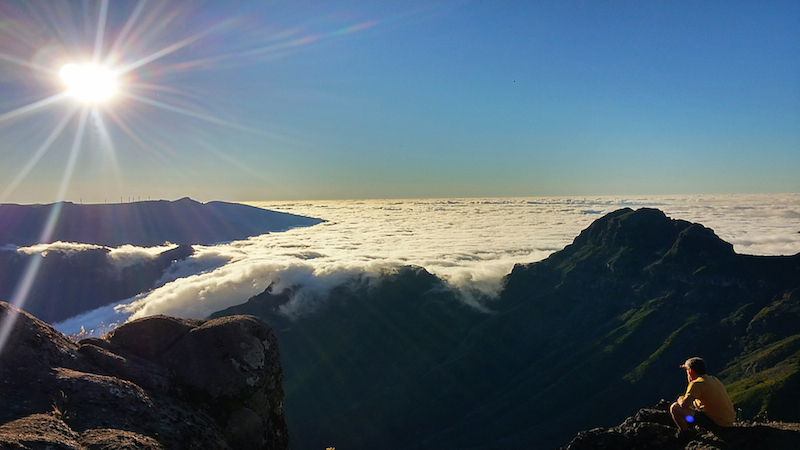 Madeira, an island blessed by the sun and in love with the sea is well-known for its inhabitants’ hospitality and the breathtaking beauty of the natural surroundings. Whilst you will transform your life and fulfilling your dream of becoming a Yoga Teacher you may visit Funchal and this uniquely beautiful island. Immediately upon graduation, you are eligible to register with the most trusted and recognized yoga teaching organization in the world - Yoga Alliance! Students who complete their subsequent training are immediately eligible to register with Yoga Alliance as Registered Yoga Teachers (RYT-200). 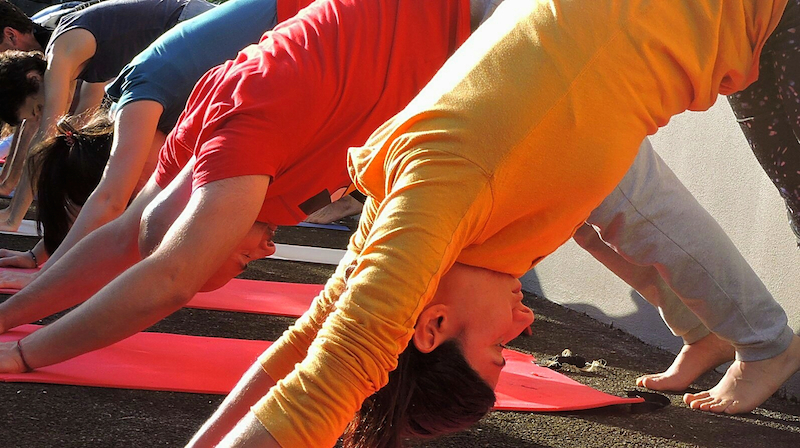 Registration with Yoga Alliance provides an international recognized credential. The certificate confirms that he or she has sufficient knowledge and practical skills for teaching Integral Yoga to future yoga practitioners, for beginner and intermediate level groups. This yoga teacher training teaches the basic theoretical and practical foundations that are useful for becoming a professional Integral Yoga Teacher. The greatest value of this training is the fact that it integrates various types of yoga, which gives to the future Integral yoga professor, after the graduation, the ability to teach techniques from various types of traditional forms of yoga (Hatha, Jnana, Kundalini, Kriya, Karma, Bhakti, Mantra yoga, and more). The course is completed after a final four-hour written exam. Yoga and the community, etc. Yoga teaching methodology : theoretical and practical Include concepts of the learning process, learning styles, and how to teach the techniques of Integral yoga. During these sessions, you will learn how to give a professional assistance to your future students for a correct realization of the Integral yoga techniques. The professors will also explain how to create a plan of an Integral yoga class (singular or a set of lessons), the sequence of the teaching of Integral yoga techniques and theoretical notions, the personal qualities that a yoga teacher should develop, how to create a harmonious and correct teacher-student yogic relationship. All the teaching of the course is synthesised in a complete illustrated Integral Yoga Teacher Manual of approximately 550 pages, which contains all the necessary theoretical and practical information for becoming a good Integral Yoga teacher! The manual is available in Portuguese and English. The assessment and evaluation of the students is continuous throughout the program. Presence is compulsory, the students will perform a constant practice of the techniques and interesting homework will be indicated for individual study. The course is completed after a final four-hour written examination. The final evaluation will be a made having three elements in consideration: the participation during the classes (1), the grade of individual study (2), and the final written examination (3). The schedule may suffer alterations, depending on the specific circumstances at the time of the program. Minimum 18 years old. There is no upper age limit. It can be subscribed by people who have never practiced yoga. However, the practice of yoga involves a high level of self-discipline and interior purity. Does not require any certification of previous courses. For the entire duration of the course there are prohibited: the consumption of drugs, alcohol, tobacco, coffee, black tea and indecent attitudes. Even in self-catering, we recommend the ovo-lacto-vegetarian food for all the period of the course. Hostel type, extremely clean, excellent library, and study spaces, with various room typologies: dormitory, double rooms with /without private facilities, single rooms with /without private facilities. Excellent location in the Center of Funchal, within walking distance for most of the touristic attractions. This retreat is self catered. Please note that the hostel is equipped with kitchen and utilities and the shopping mall "La Vie" is only 300 meters distance (grocery shop and canteen). We also recommend ovo-lacto-vegetarian diet. Recommended Airports: Madeira Airport (FNC) Distance from the airport to Funchal: 35 km Transfer not provided Please book your flight to arrive at Madeira Airport (FNC). The Madeira International Airport Cristiano Ronaldo CR7 is about 20 kilometers from Funchal Centre and 30 to 40 minutes by taxi or by bus. Upon arriving on the welcoming airport (code: FNC) there are two options to reach your destination: The first option is to take the Aerobus to Funchal (SAM Madeira Bus Company). This bus service runs seven days a week (25th December is the only exception). There are several stops in Funchal, making most destinations easy to reach. Tickets may be bought from the bus driver and he will be happy to help you with the information about the address where you want to get off. Prices: one way: Funchal / Airport – Airport / Funchal: 5.00 EUR; Return ticket: 8.00 EUR. All bus stops of the Aerobus have a number and the map and information may be easily found online. Taking a taxi from the airport to Avenida Calouste Gulbenkian is the other option but the costs are between 25 and 35 EUR (20% extra on weekends) so it is well worth taking the bus. The TTC I attended at the Sundari Yoga School was, above all, an evolutionary leap in my spiritual path. Homework help increase my perseverance in daily spiritual practice. I consider the course manual a "bible", very complete and useful. It was a beautiful and enriching experience, Sofia. Excellent course that produced transformations in my life and in my being. It has provided me with tools that I have used to help other people to make their "way" and transform their lives, Idalina. While you will deepen your knowledge of yoga and enhance your personal development with Integral Yoga Teacher Training, you will also benefit from a beautiful natural park and will be two steps away from the famous Santa Maria da Feira Medieval Castle. Here, the contact with nature and the sight of the green hills offers an unforgettable experience, full of tranquillity and comfort. Upon successful completion of the course, you could sign up to the most trusted and recognized yoga teaching organization in the world, Yoga Alliance! Yoga practical sessions The practical sessions include the correct execution and the theoretical learning about the benefits and the effects of 88 yoga basic techniques: • 50 asanas (postures of Hatha yoga) • 5 techniques of concentration • 11 meditation techniques • 4 relaxation techniques, including techniques of yoga Nidra (conscious sleep) • 12 techniques of pranayama (yoga breathing) • 6 Kriya yoga techniques (body purification) Yoga theoretical sessions • Human anatomy and physiology applied to yoga practice • The subtle structure of the human being: nadis (energy channels), chakras (energy centers), pancha kosha (the five layers of the human brain), the man and the three levels of manifestation (physical, astral, and causal), Kundalini energy, Jivatma (the soul), and Atma (eternal self) • The philosophy of Integral Yoga system: Yama and Nyama (the ethics and moral codes); description of various types of yoga (Karma Yoga, Bhakti Yoga, Jnana Yoga, Raja Yoga); the three fundamental principles in yoga practice; Dharma explanation; basics about Karma and reincarnation; the description of the three Gunas (the three main qualities of nature); the human mind (mental types, the causes of the fluctuations of the mind, the consciousness and the supra-consciousness) • A synthetic review of five essential yoga treatises: Bhagavad Gita, Yoga Sutras, Hatha Yoga Pradipika, Gheranda Samhita, and Shiva Samhita • The inspiring life of four masters of Yoga: Sri Aurobindo, Ramana Maharshi, Swami Shivananda, and Ananda Moyi Ma • Children yoga practice approach • Pregnant woman yoga practice approach • Seniors yoga practice approach • Healthy lifestyle notions • Ethics of the yoga teacher profession • Marketing strategies • How to manage your own yoga classes • Yoga and the community, etc. Yoga teaching methodology : theoretical and practical Include concepts of the learning process, learning styles, and how to teach the techniques of Integral Yoga. During these sessions, you will learn how to give a professional assistance to your future students for a correct realization of the Integral yoga techniques. The professors will also explain how to create a plan of an Integral Yoga class (singular or a set of lessons), the sequence of the teaching of Integral Yoga techniques and theoretical notions, the personal qualities that a Yoga teacher should develop, how to create a harmonious and correct teacher-student yogic relationship. All the teaching of the course is synthesised in a complete illustrated Integral Yoga Teacher Manual of approximately 550 pages, which contains all the necessary theoretical and practical information for becoming a good integral yoga teacher! The manual is available in Portuguese and English. The assessment and evaluation of the students is continuous throughout the program. • Presence is compulsory, the students will perform a constant practice of the techniques and interesting homework will be indicated for individual study. • The course is completed after a final four-hour written examination. • The final evaluation will be a made having three elements in consideration: the participation during the classes (1), the grade of individual study (2), and the final written examination (3). INATEL Santa Maria da Feira Hotel is situated halfway between Porto and Aveiro. The hotel is surrounded by a beautiful natural park and two steps away from the medieval castle. Here, the contact with nature and the sight of the green hills offers an unforgettable experience, full of tranquillity and comfort. During this yoga teacher training, you will be provided with daily breakfast, lunch, and dinner. Your meals will be ovo-lacto vegetarian. Drinks are not included. The deposit is fully refundable if the booking is cancelled up to 40 days before the arrival date. In addition to the teacher training program, there are also some optional excursions, not included, for the ones who want to enjoy the beauty of Santa Maria da Feira. In the surroundings of the city and within it, you can explore some of the region’s points of interest, such as the Caldas de São Jorge thermal baths, the Convento dos Loios (monastery), the Santa Maria da Feira Castle, and the Municipal Ornithological Park in Lourosa, the only country zoo exclusively devoted to birds. Please book your flight to arrive at Francisco de Sá Carneiro Airport (OPO). Transfer is not provided. The distance from the airport to the TTC location is 36 km. Transfer to the hotel from the airport is easier by taxi for around 45 EUR to 55 EUR including luggage and tolls. If you pick one from the arrivals or departures, just be sure to ask, before entering the taxi, if the driver knows the place (Santa Maria da Feira, Hotel INATEL) and how much is the price in total. 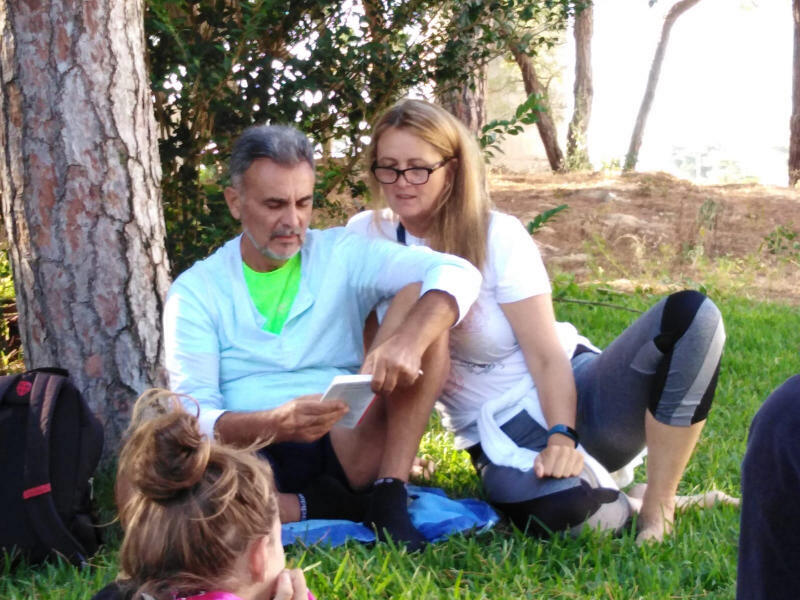 Deepen your knowledge of yoga and enhance your personal development with Integral Yoga Teacher Training in Costa de Caparica while being surrounded by the beauty of the natural park and only five minutes' walk from the beach. The intensive schedule of this course aims to develop the physical and mental capacities of all the participants so that after three weeks of intense practice and learning, you will be able to transmit and teach valuable Integral yoga techniques to your future students. Yoga teaching methodology: theoretical and practical Include concepts of the learning process, learning styles, and how to teach the techniques of Integral yoga. During these sessions, you will learn how to give a professional assistance to your future students for a correct realization of the Integral yoga techniques. The professors will also explain how to create a plan of an Integral yoga class (singular or a set of lessons), the sequence of the teaching of Integral yoga techniques and theoretical notions, the personal qualities that a yoga teacher should develop, how to create a harmonious and correct teacher-student yogic relationship. All the teaching of the course is synthesised in a complete illustrated Integral Yoga Teacher Manual of approximately 550 pages, which contains all the necessary theoretical and practical information for becoming a good integral yoga teacher! The manual is available in Portuguese and English. Food is ovo-lacto-vegetarian for all the period of the course. Inatel Caparica is situated in a wooded park right on Costa de Caparica beach in Portugal where the banks of the Tagus River meet the Atlantic Ocean, just a few kilometers from Lisbon Portela Airport (LIS). There may be moments to glimpse and enjoy these surroundings. The area is framed by the "Arriba Fóssil" and "Mata das Dunas" protected areas, Terras da Costa stretches along a vast area of plains, trails, and shrubs. On the horizon lies Nature Park of Arrábida, an area rich in landscape, historical, and cultural heritage - a delight to all who visit. In addition to enjoying the excellent Atlantic beaches, with their clear waters and magnificent sandy beaches, you can tour castles, forts, and convents dating from the 13th and 18th centuries. Please book your flight to arrive at Lisbon Portela Airport (LIS). Transfer not provided Distance from the airport to the TTC location: 16 km Transfer to the hotel from the airport is easier by taxi for around 30 EUR, including luggage and tolls. If you pick one from the arrivals or departures, just be sure to ask, before entering the taxi, if the driver knows the place (Costa de Caparica, Hotel INATEL) and how much is the price in total. Deepen your knowledge of yoga and enhance your personal development with Integral Yoga Teacher Training in France, Chateaux de Longeval, while being surrounded by seven and a half hectares of a spectacular ancient forest on the Beaujolais hills. The intensive schedule of the course will be shared in this harmonious and tranquil location, full of deep and peaceful energy. 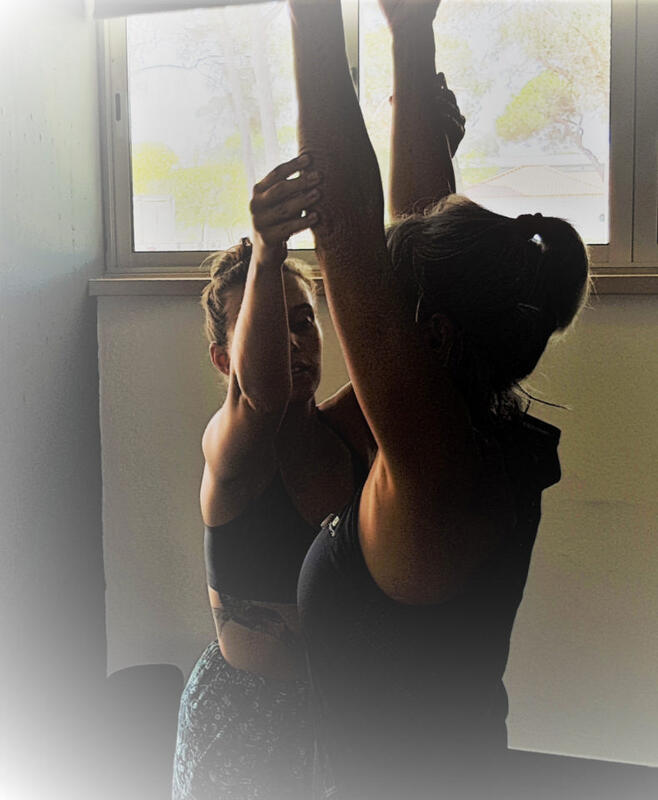 The program aims to develop the physical and mental capacities of all the participants so that, after three weeks of intense practice and learning, you will be able to efficiently transmit and teach valuable Integral Yoga techniques to your future students. 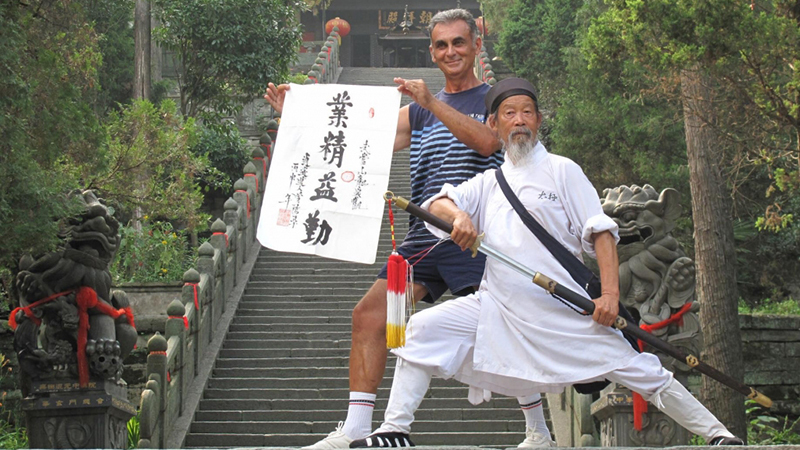 In order to enhance the knowledge about the flow of the energy and how to use this flow for living a long and healthy life, we also offer, for the students of the TTC who would like to participate, two interesting and useful workshops: Qi Gong – Tao Yin technique (1) and The Do-In massage (2). The workshops are included in the final price of the TTC; the participation is optional and the acquired knowledge is not solicited for the final TTC evaluation and certification. Free time: Wednesday and Sunday 12:30-21:00; Saturday 8:15-21:00 Workshops schedule: Saturday, 9:00 -12:30 and 13:30 – 16:00 The schedule may suffer alterations, depending on the specific circumstances at the time of the program. Château de Longeval is a recently renovated historic site dating back to the 17th century. It is surrounded by a seven and a half hectare wooded estate amid the hills of Beaujolais, just an hour away from Lyon. Its tranquil location is conducive to contemplation and meditation and offers a space for harmonious personal development far from the stress and noise of the city. Includes Breakfast, Lunch, Dinner, with organic vegetarian and vegan friendly meals. The following dietary requirement(s) are served and/or catered for: • Vegetarian • Lacto-ovo Vegetarian • Vegan If you have special dietary requirements please communicate it to us when making the reservation. Drinks are not included. Arrival by airplane From Paris Charles De Gaulle Airport: Get on a fast train (TGV) to Lyon Part-Dieu station (2 hours). To reach Domaine de Longeval, see the directions from Lyon Part-Dieu below. From Lyon Saint-Exupéry Airport. This international airport is located 74 kilometers southwest of Longeval. It offers direct connections to all major European hubs, plus North America and North Africa. The cheapest option to reach us from this airport is to get the Lyon ExpressTram. Check schedules and ticket prices on their website. The tram will take you to Lyon Part-Dieu station in 30 minutes. From there, you can catch a train/bus combination to Domaine de Longeval. If you want to take a taxi directly to Domaine de Longeval from Lyon Saint-Exupéry Airport, it will cost €100-€150. Big bus companies (Euroline, Megabus, etc.) link Lyon to Paris and other major European cities (Torino, Barcelona, Geneva, Zurich, Frankfurt, etc.). Arrival by bus Buses usually arrive at Lyon Perrache or Lyon Part-Dieu train stations. From these stations, you can get a combination of train and bus to get to Domaine de Longeval. Arrival by train Lyon has two train stations, Lyon Part-Dieu and Lyon Perrache. Both of them have connections to Chambost-Allières, a village near Longeval. In Lyon, buy a train/bus ticket to Chambost-Allières (approximately €12) and get on a train to Lozanne (this line’s final destination is Roanne, so look for this on the departure boards). Change from the train to a bus in Lozanne. The bus will be waiting for you at the train station and is included in your ticket. The bus will drop you in the village of Chambost-Allières, about three kilometers away from Domaine de Longeval. Then we will pick you up from there - subject to proper and exact confirmed scheduling.